Is the Tea Party Being Snookered by George Soros & Friends? You are here: Home / We are Gulag Bound / *Resisters' Log* / Is the Tea Party Being Snookered by George Soros & Friends? 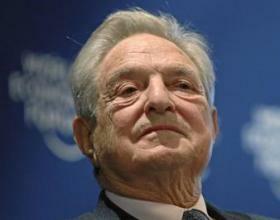 George Soros Supports the Tea Party? Even as the rest of the country focuses on the economy, the inventor of the scratch-off lottery ticket continues his push to all but eliminate the Electoral College. John Koza’s National Popular Vote (NPV) effort is making unfortunate progress. Just last week, Governor Jerry Brown’s signature ensured that the elector-rich state of California will participate in NPV. NPV’s plan is disarmingly simple: States join an interstate compact that allegedly binds them to allocate their presidential electors to the winner of the national popular vote. Supporters claim NPV is just a unique way of using the Constitution’s presidential election provisions. In reality, questions remain about the constitutionality and enforceability of the compact. Worse, if it did survive legal challenges, NPV would effectively eliminate an institution that contributes to the political stability of the United States. Koza and NPV are wrong about the Electoral College, but they’re no dummies, either. They learned much from last November’s elections and this year’s congressional fights over spending. They have apparently concluded that their best chance of success comes with the cooperation of conservatives. Thus, they are working diligently to reconstitute themselves as a Tea Party-friendly organization. NPV has retained a retinue of Republican lobbyists, including former California state senator Ray Haynes, Michigan Republican national committeeman Saul Anuzis, and former Minnesota state representative Laura Brod. Through such mouthpieces, NPV has pitched its plan to the Republican National Committee, the American Legislative Exchange Council, and conservative think tanks such as the Heartland Institute and the Heritage Foundation. 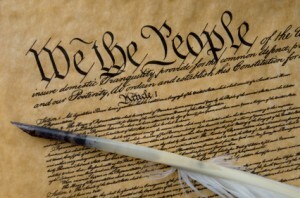 …The electoral college synthesized two important philosophies established in the Constitution: (1) the maintenance of a republican, as opposed to a democratic, form of government (the explicit constitutional provisions on this issue, as well as the specific declarations of the Founders, will be examined later in this paper); and (2) the balancing of power between the smaller and the larger States and between the various diverse regions of the nation (this second point will be examined first). The Founding Fathers considered all forms of government; prayerfully, intellectually, historically and they debated and agonized and then they compromised, agreed and then pledged their lives their fortunes and their sacred honor to establish, protect and enable the government they had created. The education, the intellect and the faith of those men can not be underestimated. The providential hand of God can not be denied. We can only bring poverty and unrest if we deign to ignore their wisdom and replace our Constitutional Republic, the rule of law, with a Democracy, rule by the mob. God help us, protect us from those who’s only goal is to destroy what You in Your grace and mercy have bestowed upon us and our posterity. Please give us wisdom and strength to preserve it even if it costs us our very lives. Amen. Who is snookering who? To say that “the electoral college SYNTHESIZED two important philosophies established in the Constitution” (A scholarly article from Wallbuilders) is to determine our history based in terms of the Hegelian-Dialectic; a philosophy inherent to dialectical-materialism, i.e. marxism. Thanks, but the word was around before Hegel. So was compromise. The point is, undermining or ditching the Electoral Collage is a part of the plan to convert America to neo-Marxist mob rule with top-down control by the national (and global) ruling class. To view history as a succession of events where thesis and antithesis rise to create synthesis is 100% marxist philosophy and framing the establishment of the electoral college in this context is to be an advocate of marxist ideology. There is simply no way to get around this. It is outright HYPOCRISY to the principles of the tea party. And somebody should be called on it! You will find that inherent in most distortions is the root of truth. No one will swallow a lie whole.. so it is sprinkled with truth to sweeten it and make it palatable. The Scripture says that Satan appears as an angel of light. Synthesis, ~ 1. the combining of the constituent elements of separate material or abstract entities into a single or unified entity ( opposed to analysis, ) the separating of any material or abstract entity into its constituent elements. 2.a complex whole formed by combining. 3.Chemistry . the forming or building of a more complex substance or compound from elements or simpler compounds. ~ is not evil, but it has been commandeered by evil people to legitimize their perverted doctrines. I’m sorry that you find a word disparaging, but one is not allowed to change another author’s words.. Methinks you might be majoring on minors and missing the important content. Sorry to have offended you tender sensibilities. I assure you, I do not approve of Hegelian thought, but I do acknowledge an omnipotent God who breaths His truth into mortal men for the good of mankind. Dialectical language goes all the way back to the Garden of Eden, where the serpent said “Yea, hath God said…” If you are going to serve God and your readers to the best of your ability, then you need a thorough understanding of the marxist dialectic process to truly discern events unfolding today. It is no small matter. No one in their right mind who understands the Hegelian-Dialectic would use this terminology. Marx and Engels summed up the ten planks of communism in one sentence: “the abolition of private property.” It’s not an oversimplification to sum up the means and the ends of communism as removing the borders and boundaries that protect the rights of free people, from the sovereign national level on down to the private individual level. Historically a watchman or guard would defend a walled city, even if it cost him his life. Today using Hegelian-Dialectic language and process, we are literally being talked out of our God, our country, our property, our rights and our children. To learn more about the Hegelian-Dialectic process, visit the links listed below. That is very pertinent information, but not about the formation of the Electoral College. The American tradition does not view history in Hegelian-Dialectic terms. Only a marxist would frame the establishment of the electoral college in this context. A Marxist would, but this did not. One tends to overinterpret that which one focuses upon. Not all compromise is Hegelian manipulation, good grief Linus.